How much does it Cost: BEST VALUE - Buy tickets online and save $3 to $6 per ticket. Cheer on your favorite knight. What Makes it Unique: Where can you go and see longhaired surly men knocking each other out playfully on horseback? 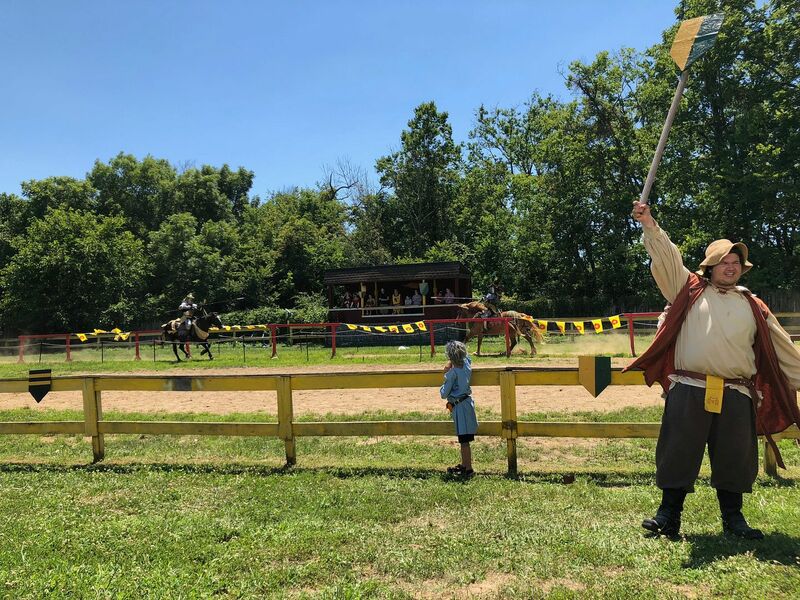 Most of us have played chess, but have you played as an actual lifesize pawn directed by cheeky squires? 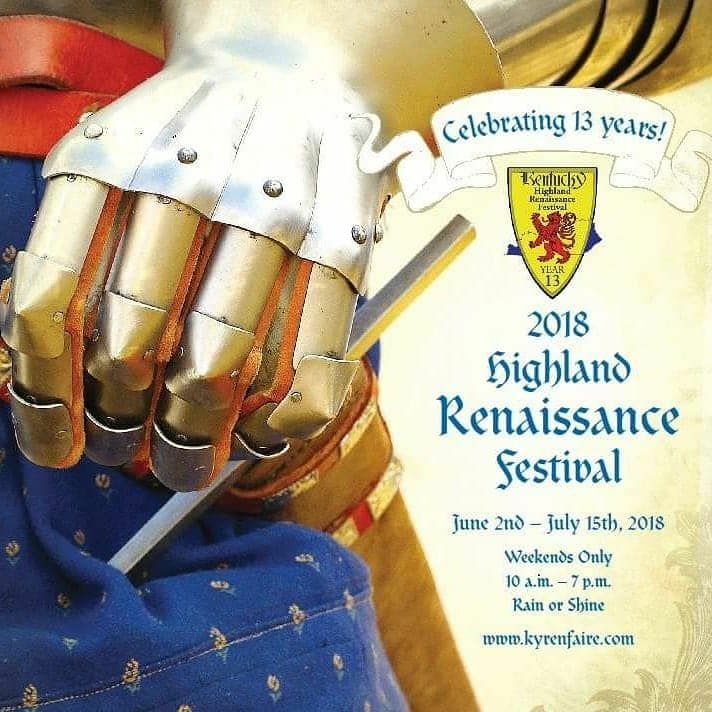 Families can be transported to another realm of play and discovery when they attend the Highland Renaissance Festival. Creature Comforts: This event has been thoughtfully laid out to meet a variety of needs. When you get hot, head to the covered bridge to cool off under a spray of mist. Need a place to sit down to breastfeed or let your kids decompress? Head to the Fairy Forest. Just be aware there is no outside food or drink so pre-entrance tailgating is a good idea. Words of Advice: Cosplay is strongly encouraged but wear comfortable shoes and plenty of sunscreen. 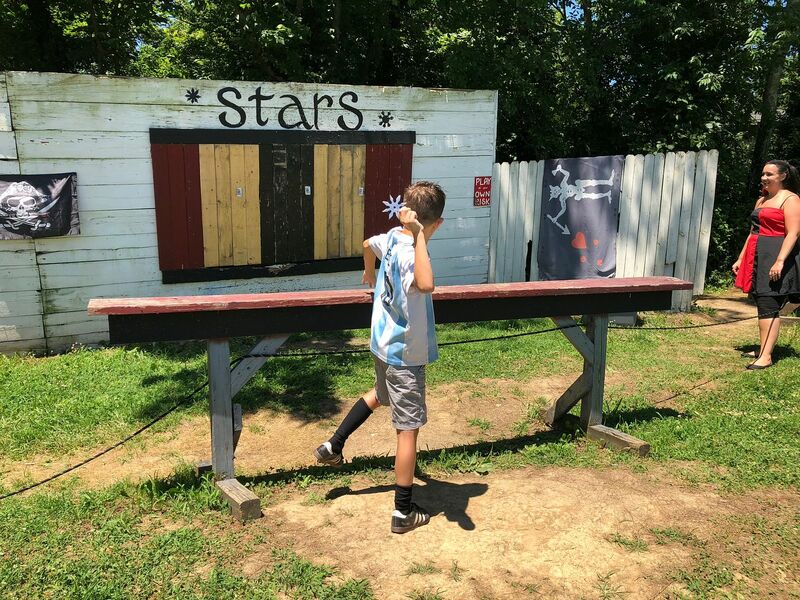 Test your accuracy by throwing hatchets, knives and stars. Why: How many times a day do your children ask you to play with them? How often do you try to make time to be playful but end up being distracted by the literal laundry list of things to do. This is a perfect opportunity to intentionally make a day to play and live in the world of imagination with your children. Disclaimer: This event is very family friendly but is an adult-centric event. Be mindful that there may be adults smoking cigarettes and responsible social drinking. There are also activities that may need a higher level of safety monitoring. How to Prepare: Each weekend has a theme for cosplay. The last weekend, for example, is the Celtic Weekend. You can be sure you will see a lot of Meridas from Brave. Consider getting in the right frame of mind and plan to dress up as your favorite Irish or Scottish character. What do you think of when someone says the word Kentucky? I think it would be fair to say that for many Kentuckians basketball comes to mind. It would be a lot easier for me if I could say the same. I am a transplant and I was raised as a farmer's daughter in a family of women. I didn't follow many sports teams growing up. Instead, what I tend to associate with Kentucky would be the landscape, people, and traditions. 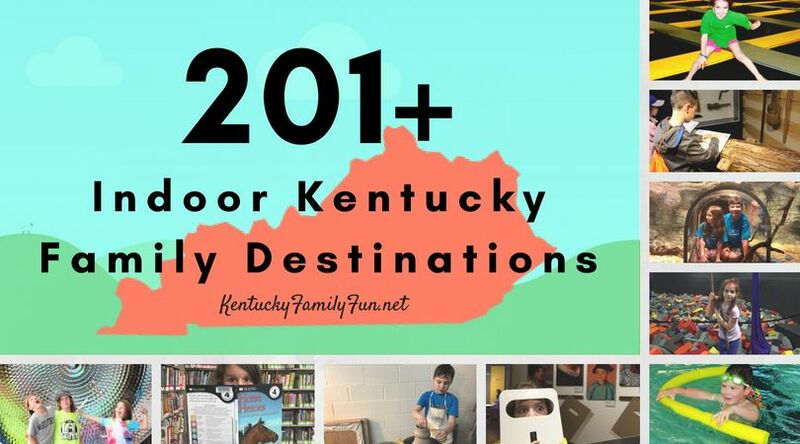 Now that we have settled permanently in Kentucky, I hope to set down roots and give my children the full Kentucky experience. 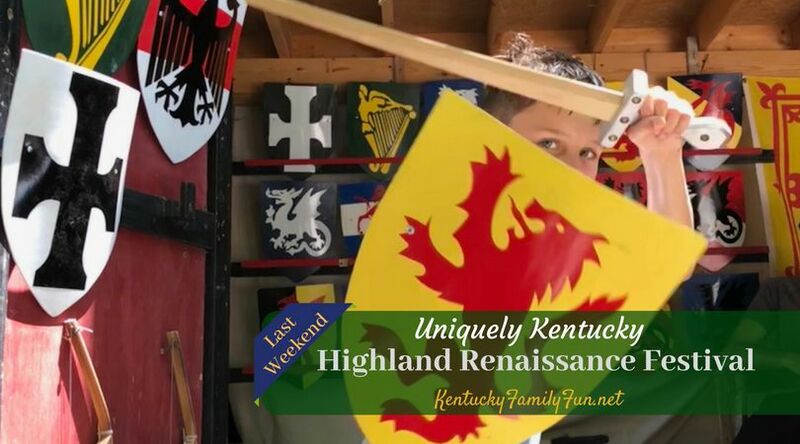 This series spotlights some of the unique, or at least, unexpected experiences here in the Bluegrass state and how your family can get the most out of them.